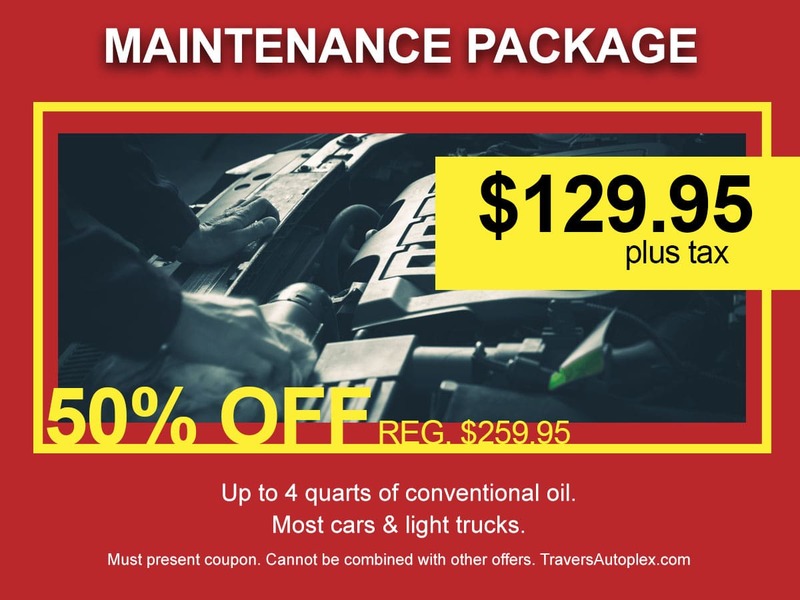 At Travers Autoplex, our service department offers specials on a wide variety of services for all makes and models, including cars, truck and sport utility vehicles. Are you in need of a tune-up? 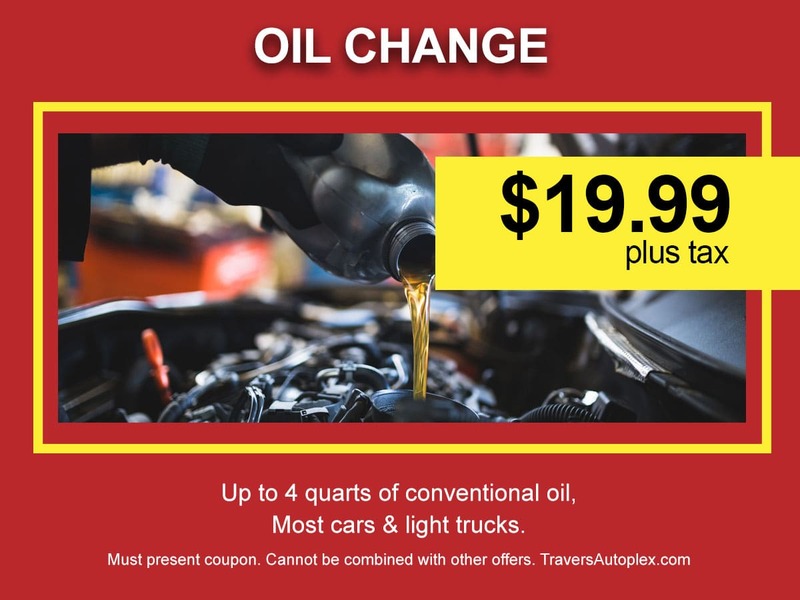 Come visit our certified technicians at Travers Autoplex in the St. Louis area for your next synthetic oil change, tire rotation, coolant service, brake fluid exchange, transmission fluid exchange, A/C performance check, value advantage brake job, and serpentine belt replacement. Our friendly and courteous staff will service your car, truck, or SUV without wasting your time and money. Includes: Up to 4 quarts of conventional oil, Most cars & light trucks. 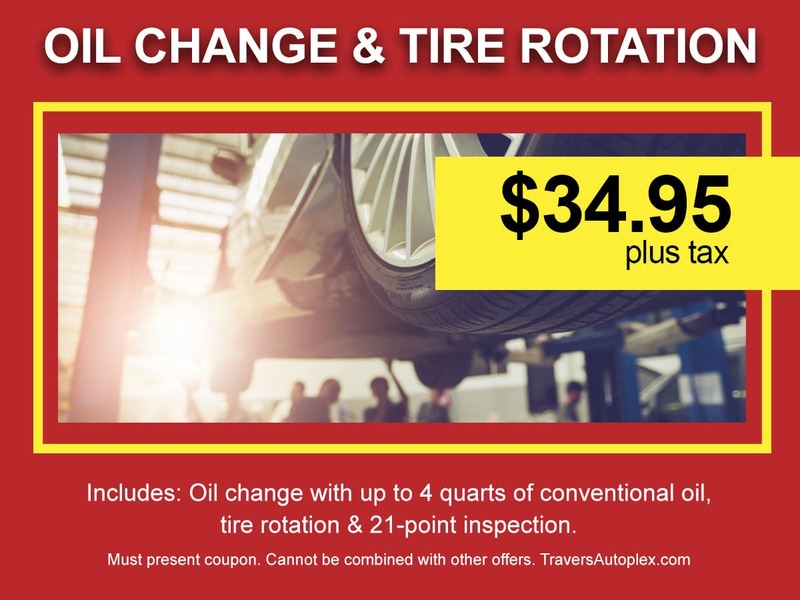 Includes: Oil change with up to 4 quarts of conventional oil, tire rotation and 21-point inspection. Includes: Up to 4 quarts of conventional oil. Most cars & light trucks.